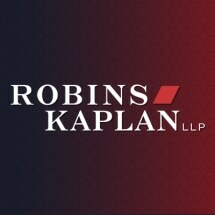 At the Robins Kaplan LLP law firm, our experienced team of attorneys, paralegals and medical analysts is devoted to pursuing medical malpractice claims on behalf of our clients. Our law office in Bismarck, North Dakota, is one of our eight nationwide locations, and from this office we serve plaintiff clients across North Dakota who suffered a debilitating injury or devastating loss caused by the negligence or wrongdoing of a health care provider. Backed by decades of combined experience and an extensive network of professional resources, we have achieved unprecedented success advocating on behalf of those in need. Our attorneys and paralegals utilize the skills and expertise of medical analysts, investigators and other professionals who help us build the strongest case possible to help you recover the full amount of compensation you deserve. Regardless of the complexity of your situation or the circumstances surrounding your claim, you can discuss your needs by contacting the Robins Kaplan LLP law firm for a free initial case evaluation.